Isn't this great news! GREAT NEWS!!!! It's our hope, it's my hope. The Cross is My Hope. 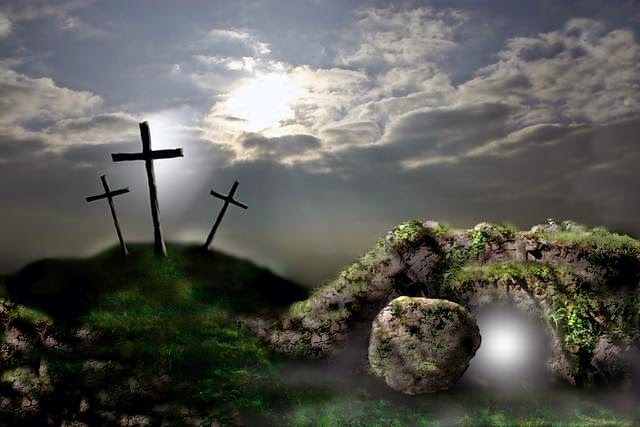 The Empty Tomb is My Hope. It is the Messiah, Jesus Christ, the child ~ Immanuel, born and foretold of in the scriptures in Isaiah, announced in Luke and crucified in John who is my risen King as described in John and who ascended into Heaven as we are told in Acts. This Hope. This Grace. It anoints my soul and encourages my spirit. This season of Lent begins a journey to Easter as we celebrate with hope and anticipation of the coming of Christ. Yes, it is a joyful celebration. My Saviour Lives! I am a child of the King. As I digested scripture this first day of Lent I was impressed to research what there is regarding the days leading to the crucifixion, resurrection and ascension unto Heaven through the eyes of Peter. I will share what I learn as I glean. Do you know my blessed Saviour?